Alone in the cockpit in control of Germanwings Flight 9525, Andreas Lubitz was harbouring a deadly secret. Ignoring instructions from his doctor, who certified him unfit to fly on the day the plane crashed into the French Alps, the 27-year-old appears to have single-mindedly set in motion the chain of events that resulted in the worst air disaster for the low-cost airline and its parent Lufthansa, killing all 150 people on board. Strict medical privacy laws mean the companies were oblivious to the potential dangers lurking in Lubitz’s mind as the first officer took the plane into a steep descent over the region that members of his local gliding club, where he developed his passion for flying, had toured in the past. Confidentiality regulations, designed to protect medical data and encourage people to consult doctors without fear of repercussion, put the onus on patients to disclose potentially hazardous diagnoses to authorities and their employers. The case is sparking debate over how practices may be changed as a result of the tragedy. It also raises questions about Lubitz’s period of absence from flying school that delayed his qualification to fly. Lubitz, who started his pilot training in 2008, took leave for “several months” at one point. Lubitz suffered from a psychosomatic condition and was being treated by several neurologists and psychiatrists, according to a person familiar with the investigation who declined to be identified because the information isn’t public. He sought treatment for vision problems that may have put an end to his career as a pilot, The New York Times reported. Neither police nor prosecutors have publicly commented on the report. Psychosomatic disorders are physical diseases that are thought to have mental reasons, like stress and anxiety. Prosecutors in Dusseldorf found a sick note at Lubitz’s home suggesting he was unfit to fly on the day of the crash, and said he may have concealed his illness intentionally. Lubitz had appointments at the University Hospital in Dusseldorf in February and on March 10 for “diagnostic clarifications”, the hospital said on Friday. There are two main exceptions under which a doctor may break the oath of confidentiality, said Steinhaeuser. One is when a patient demonstrates symptoms of epidemic diseases, like cholera or typhus, and the other is when there is a suspicion the patient may be planning to commit a serious crime. There are no special rules that compel a doctor to alert authorities if a pilot is diagnosed with depression, he said. “If he decides to hide it, it’s likely that he will successfully hide it,” said Andreas Adrian, a spokesman for Germany’s Association of Aeromedical Examiners. Certified aeromedical examiners are obliged to inform the Federal Aviation Authority if they detect a medical condition that could compromise a pilot’s ability to fly, said Adrian. Since such examiners are generally not permitted to conduct drug tests, and are not trained or required to diagnose psychological illnesses, they “may only find out about such a condition if the pilot reveals it or demonstrates severe characteristics of these specific diseases,” he said. Commercial pilots in Germany must undergo medical exams annually to maintain their licences. If those checks reveal conditions that may impair a pilot’s ability to fly, that expert is not permitted to pass the patient and must inform the aviation authority. This office then makes the call about what additional exams or treatments may have to be administered to assess if the pilot is fit to fly. The father of one of the victims of last week’s plane crash in the French Alps has called for airlines to take greater care over pilots’ welfare. His 28-year-old son, Paul Bramley, was one of 150 people killed in Tuesday’s disaster. 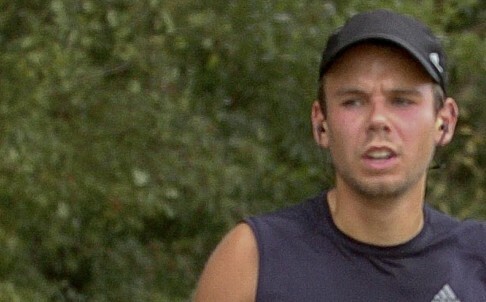 Andreas Lubitz joined Germanwings in 2013, and had passed all required medical check-ups. “The test that will get you into a Lufthansa flight training programme is a very hard test and this is why most people who get into those pilot classes will train for those tests,” said David Hasse, the editor-in-chief of German aviation website airliners.de.